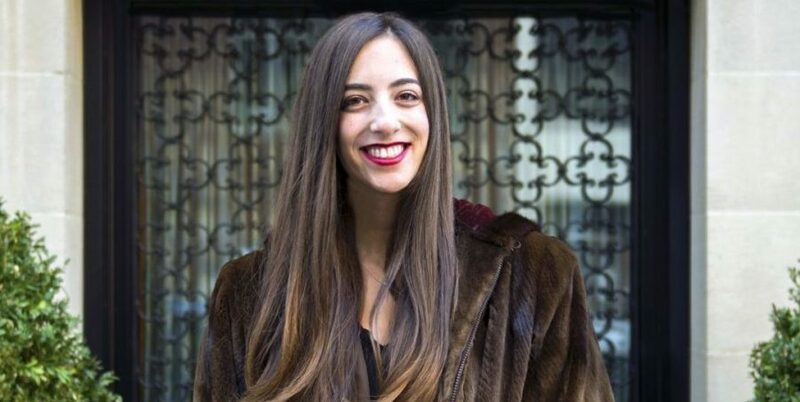 For author Hannah Orenstein, matchmaking is more than a job she did for a few months in college. It’s also the premise of her first novel, Playing with Matches. The novel is about Sasha Goldberg, a recent NYU graduate who unexpectedly lands a job as a matchmaker at a dating agency. She has a boyfriend, but she hops on Tinder to find matches for her clients and starts approaching strangers in bars and subway cars to see if they’re interested in meeting her clients. She’s twenty-two and doesn’t feel qualified to play matchmaker, but she stumbles through the process anyway. Instead of getting hired for the writing job she planned on, she’s thrust into a world where she’s meeting people that are paying her to set them up on dates – and their expectations are very high. Orenstein, who’s always dreamed of being a writer, knew she wanted to write a novel about people in their early 20s living in New York City. She wanted it to be centered around things that felt real to her, like dating and relationships. So perhaps it was kismet when she was hired as a matchmaker as just a junior in college. It paid off in more ways than one. Orenstein had a sense that it would be, too, based on her experience as a college newspaper columnist. Her subject? Blind dates. She set up her fellow students and wrote about the results. The matchmaking she did via the column was a natural starting point for a story she wrote in her senior year of college. The class encouraged her to expand on the story, and that’s when she started to think that it could be a novel. Originally, Sasha was single, but in the novel Orenstein put her in a relationship and made that one focus of the novel. “I changed it to have her in a relationship at the beginning of the novel because part of the fun of matchmaking is that you can still date people, or be in a relationship, while setting other people up,” said Orenstein. It creates the potential for reflection and tension between the two aspects of the protagonist’s life. Orenstein and her protagonist, Sasha, have a lot in common: they’re both journalism graduates from NYU, twenty-something writers, and both worked as matchmakers while in relationships. So is this an autobiography? Orenstein says no. She spoke of the imposter syndrome she had when setting up clients, feeling like she was in over her head. That’s what she turned into a novel, capturing the experience of being in your early twenties and figuring out your life and relationships in an authentic way. Orenstein is now a dating editor for Elite Daily, so one can only imagine the inspired dating scenarios that may appear in one of her future novels.